This unabridged audio download edition provides the foundation for building healthy, lasting relationships. 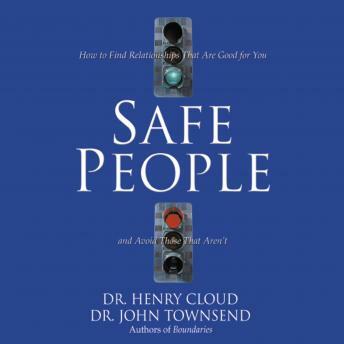 Here's how to identify safe people, how to make wise choices in relationships, and how to become a safe person yourself. Read by Dr. Henry Cloud and Dr. John Townsend. 2 hours. I am really happy I found this book after many abusive relationships this book is helping me see what I need to do and look for. Also that my perspective and intuition is my truth. I took lots of notes. I don't remember this book I fell asleep every time start ed to listen to it.